Book a five-star massage in Dana Point straight from your smartphone with Zeel Massage On-Demand. A massage therapist will come to your Dana Point home, hotel, or office in as little as an hour, or schedule in advance. Relax and recuperate with a spa-quality massage in the comfort of your Dana Point home. There are over 9,000 massage therapists in the Zeel network nationwide. Here are a few that are available for in-home massages in Dana Point. 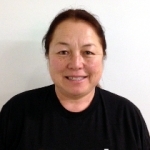 Masami is a licensed massage therapist and graduate of Cerritos College. After graduating, she went on to work in a number of high end-spas and hotels in the Newport Beach area. She blends a variety of techniques to create a custom session according to client needs. She specializes in reflexology, CranioSacral, prenatal, Thai, and trigger point therapy massage. 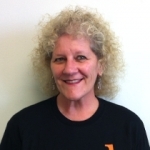 Midge is a certified massage therapist skilled in both relaxation and therapeutic massages. She has several years of experience as a massage therapist at luxury spas, including Burke Williams and Amadeus in Pasadena. Highly polished and professional, she is available for in-home massages in the Los Angeles area. 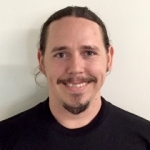 Certified massage therapist Joseph has been practicing massage for over 5 years. He has worked in several high-end spas throughout Southern California. Joseph specializes in a wide array of massage modalities, including Swedish, deep tissue, prenatal massage, myofascial release, lymphatic drainage, trigger point therapy, and more. He crafts custom sessions tailored to his clients’ individual needs to provide a unique, stress-relieving session. Get the massage you’ve been looking for, with a Zeel Massage in Dana Point, CA. In the city where they’re “Harboring the good life”, why not book a massage therapist to deliver the best massage in Dana Point right to your doorstep? This popular surfing destination was named after the nautical author, Richard Henry Dana, Jr, whose ship replica sits in the harbor and is used as a classroom by the Ocean Institute. While you’re enjoying the views and ocean breezes, be sure to treat yourself to your very own Dana Point massage, courtesy of Zeel Massage On Demand. With Zeel, massage delivery takes less than an hour to arrive. You can schedule a mobile massage today via the safe, private, and convenient Zeel mobile app or Zeel.com. 365 days a year, morning and evening, Zeel Massage On-Demand delivers massages to Dana Point, wherever you need them. Imagine enjoying a soothing Swedish massage, prenatal massage, sports massage, or deep tissue massage in Dana Point, CA, in the comfort of your home, office, or hotel room. Zeel Massage Therapists are trained, vetted, and licensed to give you the therapeutic, relaxing massage you’ve been craving. You can also order massage delivery in Dana Point up to a month in advance for your next event. Treat yourself to Zeel – today! Zeel provides Swedish massage, deep tissue massage, prenatal massage, sports massage, couples massage, and chair massage in Dana Point.